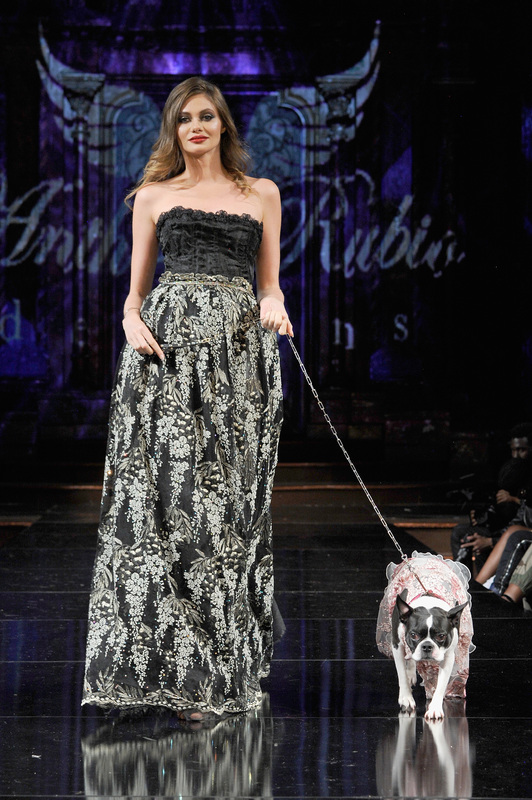 Pet Couturier Anthony Rubio, is no stranger to the runways. 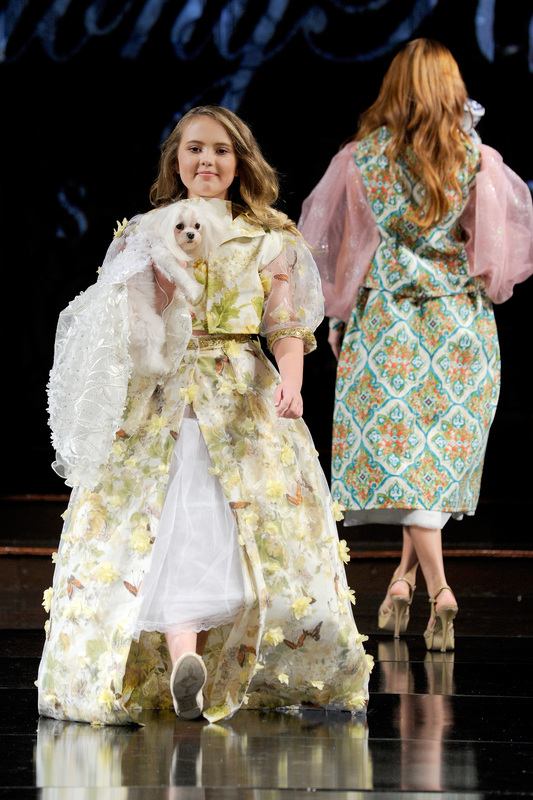 He had a plan in place to break the stigma and barriers presenting his canine couture as escorted by human models wearing his women’s wear fashions at the historic Angel Orensanz Center, originally a Synagogue built in 1850. 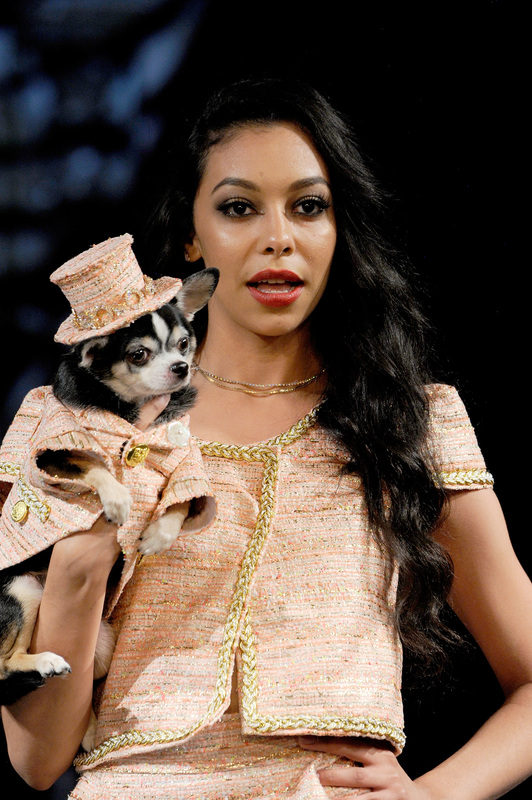 I’ve been blessed with the opportunity to present a collection primarily for canine couture accompanied by ready to wear for women which is in most cases coordinated with their pooches. This opportunity present me with the platform to not only to display magnificently crafted work of art but also to raise awareness and advocacy for animal rescue, pet adoption and pet population control. 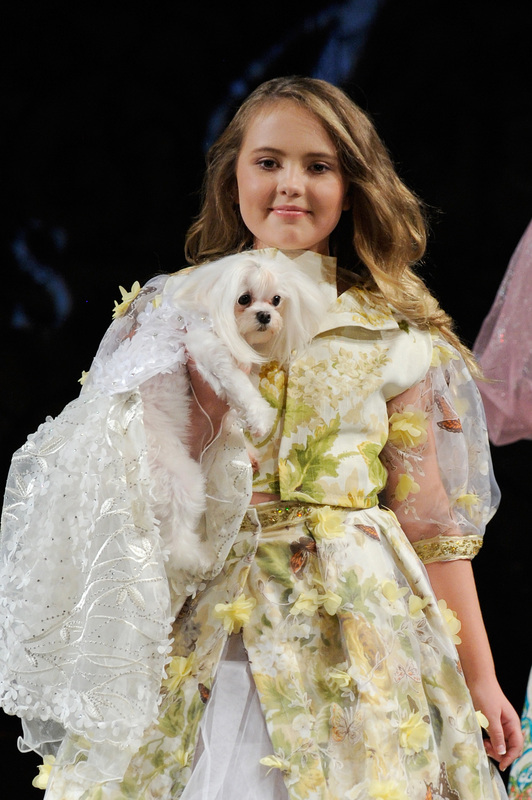 My presented collection inspired by my travels with the intent to celebrate our pets as well as the joy and unconditional love they bring into our lives. The inspiration for the collection of the S/S 2018 was my 3 week adventures island hopping in Greece. The colors of the breathtaking views, the cool waters of the Aegean Sea, the artistic tile works and the beautiful flora indigenous of these locations and yes the diaphanous attire depicted on the mythological goddesses came unto play as inspirations for the collections. 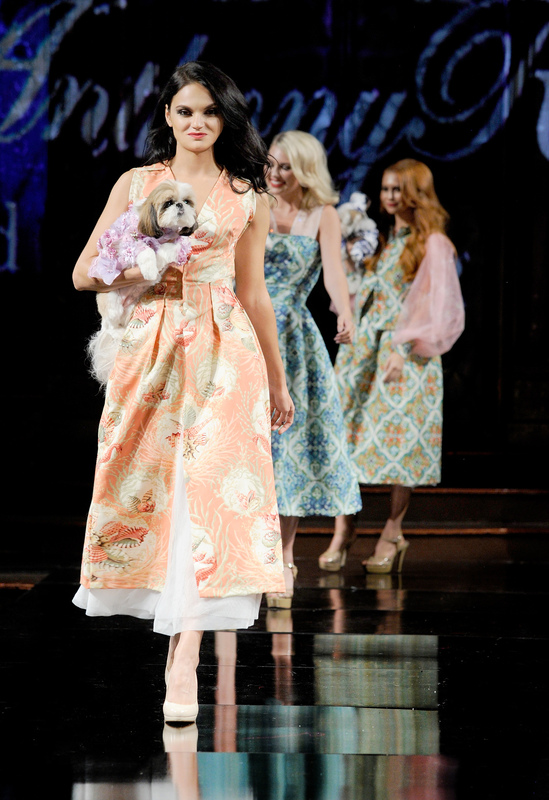 The collection opened with exuberant colors as seen on suits and dresses for day wear while deeply colored organza was the fabric of choice for evening gowns bejeweled in glass bead work reminiscent of sea glass. 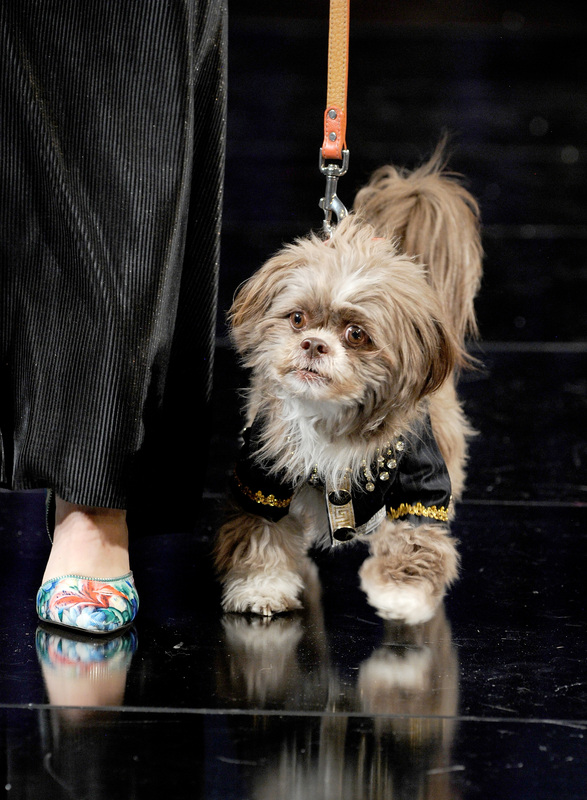 Both canine and human models coordinated and complemented one another in complete and exquisite harmony. Every season Anthony Rubio partners up with animal shelters and animal organizations to include dogs that are up for adoption in his show. Below are two special highlights. Wyatt is a 2 year old black standard poodle that was raised in the Burrus Correctional Facility in Forsyth, Georgia as part of our prison puppy program. Once he was old enough to return to the Foundation (usually 14-16 month old), he was formally trained in our dually accredited guide dog training program. Wyatt has been specially trained for his future veteran and carefully matched to his person’s mobility, personality, lifestyle, and physical needs. Our Mission: To improve the quality of life for people who are blind, have low vision, or have other special needs. Learn more about our mission at GuideDog.org. For over 70 years, the Guide Dog Foundation has trained and placed guide and service dogs to provide increased independence, enhanced mobility, and companionship to people who are blind, have low vision or have other disabilities. It costs over $50,000 to breed, raise, train, and place one assistance dog; however, all of the Foundations’ services are provided at no charge to the individual. Funding comes from the generosity of individuals, corporations, foundations, businesses, and service and fraternal clubs.